Serving Volusia and Flagler Counties 386.871.7701 Why Brenda? With Brenda's background and knowledge as an Interior Decorator, she will be able to show your home in its most marketable aesthetic so you will receive the highest possible sales price. With tips and tricks from the profession, Brenda can help you in creating an environment that any buyer would find pleasing. Conversely, she can assist buyers in visualizing a property to make it their own and become a place they can call home. Brenda offers area knowledge like nobody else……She is a lifelong area resident and your expert Realtor. 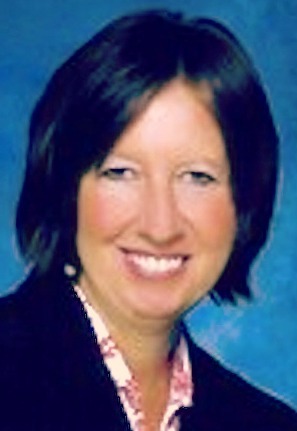 Let Brenda's expertise work for you in finding a new home, vacation home, relocation, or investment property. Living in the area for 55 years, you will have the added benefit of utilizing her resources for top rated service providers before, during and after the transaction. Brenda's determination and drive in servicing the needs of her clients, her professionalism every step of the way, and her aggressive negotiating skills, has brought success to her and her clients totaling more than $16 million in sales of residential properties. Brenda offers you a 100% Guarantee of Satisfaction - No need to be locked in to working with an agent for 6 months or more if you are not satisfied….call me for details. Brenda is your FULL TIME realtor and works 7 days a week. No complicated phone system or assistant to go through…….Convenience to her customers in calling her directly provides the personal service she promises. Brenda's ability to listen to her customer's dreams, wish lists of details, concerns of the unknown, and expectations as their Real Estate professional is unmeasurable. Her focus on her customer's needs, backed by her ability to deliver, remains as important to her as ever. Brenda's affiliation with RE/MAX offers you exposure locally, nationally and worldwide. Nobody in the world sells more real estate than RE/MAX. The RE/MAX logo is one of the 10 most recognized symbols in the world and RE/MAX has the largest share of voice in national TV advertising. Remax.com is the most visited real estate franchise website with more than 48 million visits annually. Brenda is a RE/MAX Platinum Club Award Recipient for excellence in sales achievement. Less than 4% of all RE/MAX agents have been recognized for this award. Complimentary Staging Advice: It's all in the Details, details, details! Brenda's keen eye for decorating offers her clients the benefit of receiving great advice in preparing their home for sale. Quality photographs of their home on the Multiple Listing Service and a well thought out - detail filled description of their home are keys to success in finding the right buyer. Did you know that 89% of home buyers use the internet to search for a home?